Congratulations! 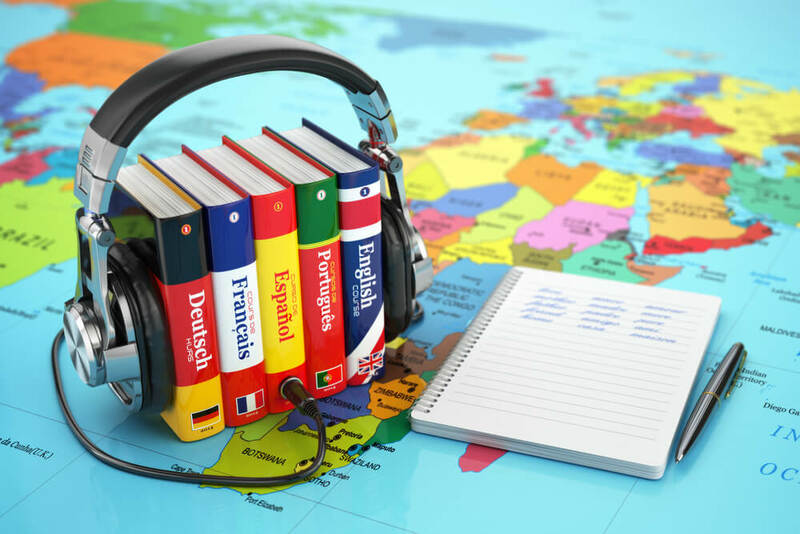 This could be your second, third, or fourth language but congratulations for making the global decision to expand your knowledge and learn a new language. And what better way to do it than with Intensive Language Programs! Hands down the best way to learn a new language is to immerse yourself completely in the culture you want to learn. There’s simply no better way. Not only do you learn a new language, but you learn cultural norms, expressions, ways of life, and how to create your own personality in that language. Language immersion programs deplete the safety net that learning a language in America creates for you. You are less likely to revert to using English when you place yourself in a foreign country and that is the secret factor to long term success. First you must choose a language. There are a few large factors to consider when trying to decide. Practicality vs Passion- Will this language help you in your future aspirations? Or is there a language and culture you are fixated on understanding and hope to be a part of? Do your grandparents speak a different language you want to be a part of? Is it important to you to connect to your ancestry and family heritage? Regardless, no matter what may be your motivating factor, you MUST be passionate to learn a new language. The majority of travelers tend to fall for the all-time-enduring love spell of the romantic languages such as Italian and French, but these languages are no longer on the lists of the top 10 most important languages of the world. Instead, travelers who want to learn a language for practicality purposes should focus on learning Mandarin, Spanish, German, and Portuguese as these are the within the top 5 most important languages of 2017 according to multiple studies and surveys. You’re exposed to more material. From body language to slang from natives you are exposed to so much more than you could get from Duolingo or learning in your home university. Intensive Language Programs also offer an abundance of activities to learn the language and culture better from social gatherings, city tours, networking opportunities, attending art galleries, to simply eating the best local foods. Your class members become your friends. There’s an indescribable bond between you and the members of your class who are succeeding and making mistakes alongside you. Being in a foreign country without a B2 level of communication in the language makes you cling to those like you. There’s an indescribable bond between you and the members of your class who are succeeding and making mistakes alongside you. Being in a foreign country without a B2 level of communication in the language makes you cling to those like you. Besides, you will feel a surge of confidence with having them behind you when you incorrectly order a coffee. Full immersion into a culture. Checking out at the grocery store, ordering an ice cream cone, and even being badgered by the homeless people on the streets to give them money will all be better communicated in the language you are learning. No class in America, on YouTube, or via an app can do this for you regardless how far they’ve come. An intense language course means you learn quickly instead of dragging it out for months and months which, in turn, saves money. You have the opportunity to learn what you need to, then you’re free to go. There are also many economical options such as living with host family, being an au pair, or exploring the housing options within the program. And often, natives speak with a dialect you can’t study for. However, some programs are learning this and incorporating this into their teachings. Like anything you only get better with practice. Many intensive language program students report you won’t be as focused on your study because no one is forcing you to like in college. To be fair if you are choosing to learn a language abroad it becomes your passion. You feel like a child who keeps trying and trying to complete a task as easy as riding a bike until it becomes effortless. It’s a fun challenge and it forces you to think more worldly which, in turn, makes you learn so much more than you ever bargained for. This is inevitable with anything you learn. Especially as adults, we find our pride gets in the way of shamelessly attempting to pronounce words and form sentences. However being in a foreign country truly allows you to not give into giving up on your goal. You need a valid passport before embarking on any of your travels. In regards to the correct visa, it depends on which country you go to. North America has an agreement with the Schengen Area (mostly all of Europe except the United Kingdom, Ireland, Croatia, Bulgaria, Cyprus, and Romania) that says Americans can travel within the area for no more than 90 days as a tourist with no visa. However, if you have plans to study abroad you more than likely need a visa. International language schools and programs usually are very good about assisting International students int this process in regards to outlining what you need and don’t need. If you are attending a short, less than 3-month program, in a country such as Italy they will say you do not need a visa because you will be gone within the 90 days you are allowed. When in doubt, ask questions! Email your academy, the consulate nearest you, the consulate in the country you chose, and be sure you have the correct information because customs police officers will not think twice about not allowing you to enter their country if you don’t have the correct paperwork and visa.